I used to host mindefrag.net on a shared hosting from my country. I would use FTP as a mean to deliver updates of this jekyll-generated blog. Every time I was satisfied with the result of my changes I would run jekyll build/serve and then navigate to /_site directory with filezilla and upload it to /domains/mysite/public_html overwriting old files. Oh look, I made a typo in that post - let’s do it again! Not that I’m complaining, but I knew from the first time I used jekyll that there must be a more elegant and efficient way to push changes online. And there certainly is! Jekyll website provides rich documentation of the project and also mentions about deployment methods. 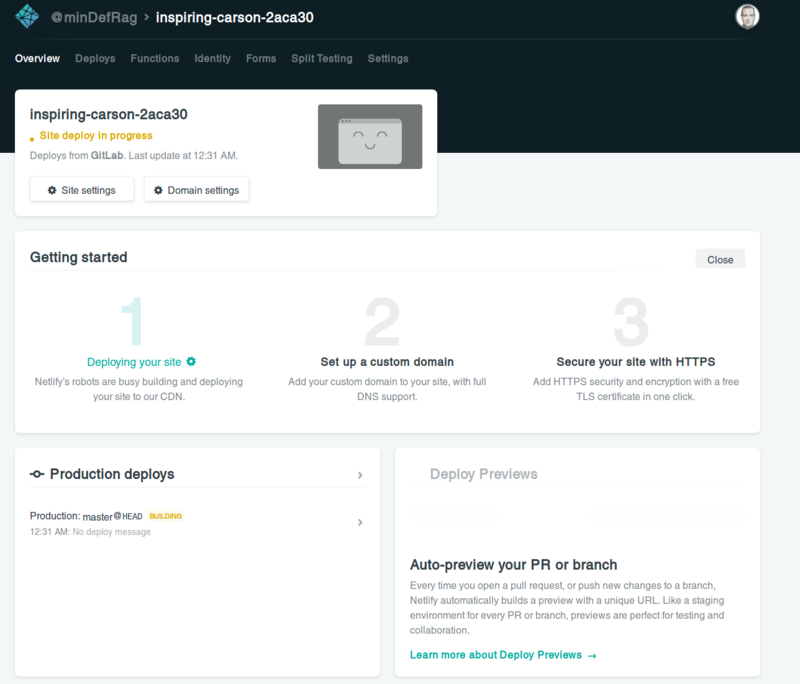 Beside Netlify it enumerates Aerobatic, Kickster, and other more sophisticated methods that require a bit of coding like Amazon s3_website, rack-jekyll etc. Here is a simplified tutorial of how to migrate your site to Netlify. 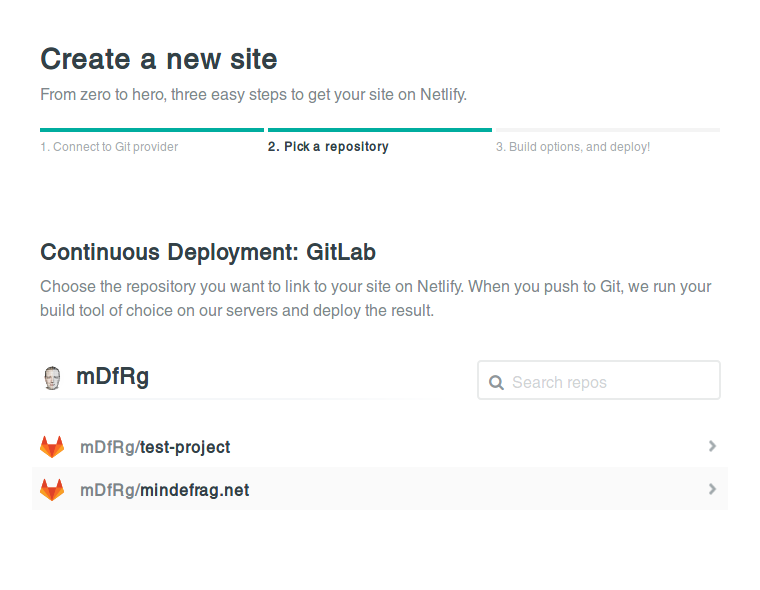 This guide assumes you are already familiar with git version control system. git commit -am "my new jekyll site"
The ns address will show after you set it up in your settings panel. Then you can create a DNS zone and create @ and www A/AAAA records pointing to your page. Detailed documentation is located in chapter custom domains and dwells about specific configs like custom subdomain (blog.mywebsite.com). Note the @ A record pointing to Netlify’s load balancer’s IP: 104.198.14.52 and the CNAME record for www subdomain. Thanks to this settings I can benefit from Netlify CDN and Let’s Encrypt SSL deployment whilst having my email settings unchanged. 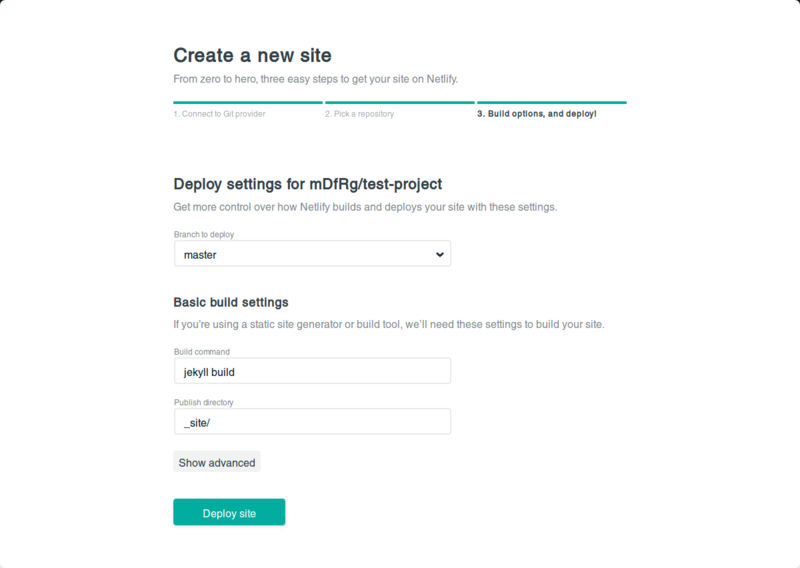 For basic settings, like this blog Netlify is free of charge. Now all I have to do to publish my post / web change is git push to origin/master!